This article was originally published by RSIS on 12 April 2016. The recent Nuclear Security Summit 2016 in Washington DC highlighted the pervasive threat of nuclear terrorism, for which governments see the need to commit more resources and prioritise the issue as a primary national security agenda. Since the biennial Nuclear Security Summit (NSS) ended its 2016 instalment in the United States, stakeholders and policy analysts are left searching for an equivalent high-level platform with the same mission. The critical role to enhance nuclear security has expanded with the threat of nuclear terrorism growing. Investigative works on the recent attacks in Paris and Brussels highlighted that terrorist organisations could be after radiological materials that will enable them to construct a crude nuclear bomb. During the nongovernmental experts meeting of the NSS, Argentine ambassador Rafael Mariano Grossi mentioned that, unlike nuclear safety which has established quantitative guidelines, nuclear security requires variable policing efforts that are difficult to agree upon at the international level. Instruments such as the Convention on Physical Protection of Nuclear Materials (CPPNM) and the International Convention for the Suppression of Acts of Nuclear Terrorism (ICSANT) have not been universally adopted, and could therefore pose a challenge in dealing with terrorism that is global in nature. As such, initiatives to deal with the threats of nuclear terrorism have been mostly adopted at the national level. A study by the Belfer Centre of Harvard University broadly classified the three possible modes of nuclear attacks by a terrorist organisation – a) an attack using a nuclear weapon; b) an attack on a nuclear facility; and c) an attack using a Radiological Dispersal Device (RDD) or more commonly known as a ‘dirty bomb’. In Southeast Asia, there are presently no nuclear power plants which terrorists can exploit to create a nuclear meltdown in the region. The making of a nuclear weapon requires highly sophisticated technology. However, with the growing black-market in arms trading, terrorist organisations now could have the financial resources and possess the technical know-how to construct a crude nuclear weapon using highly enriched uranium. 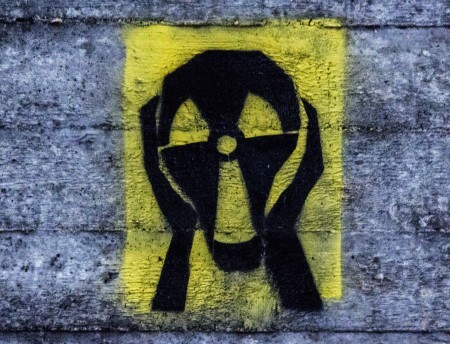 The threat of a dirty bomb could be more likely for the region, as factions or extensions of main terrorist organisations in the region are likely to resort to cheaper and more readily-available means to cause panic in the community. Radioactive materials like Cesium 137 are used in hospitals and laboratories. More often, these civilian facilities offer minimal level of security and therefore radioactive materials could be easily stolen. Appropriate measures such as the installation of alarms and CCTVs should be taken as they can enhance the security features against theft. In addition, a high level of clearance is required to prevent any insider from smuggling out the radioactive materials. One of the reasons a dirty bomb incident has yet to erupt lies in the motivation of carrying out such an attack. A construction of a dirty bomb will certainly be more laborious when compared to an improvised explosive device. Terrorists could be sacrificed during the process of bomb-making, and a higher level of execution is required to deliver the RDD. Even if organisations managed to overcome the ordeal, with suicide bombers ultimately dying anyway, the lethality of an RDD is to cause major disruption for, rather than destruction of, the masses. In terms of fatality, the bomb maker will need to finely balance between its explosive strength and the radiation shielding for the suicide bomber. During the explosion, the radioactive ingredients will contaminate the affected areas, but the level of radiation is unlikely to be life-threatening as the public will flee and have minimal exposure time to the affected premise. Over a period, decontamination of the affected areas will take place which will result in diversion of public movements and traffic and consequently disrupting the economy. The objective of an RDD is to instill psychological fear among the masses. It is therefore important to educate the society on the impacts of a dirty-bomb attack. Relevant agencies with domain expertise on RDDs can contribute immensely by addressing the intensity and possible impacts of an attack, so as to ameliorate the psychological fears that the terrorists are after. With a more informed society, there is less motivation for terrorists to carry out a dirty-bomb attack. After all, the perceived arcane knowledge surrounding nuclear security can be more effectively communicated to the public in order for us to progress towards a more resilient society. Alvin Chew is an Adjunct Fellow of the S. Rajaratnam School of International Studies (RSIS), Nanyang Technological University, Singapore.